These look amazing! I need to get some ingredients though. 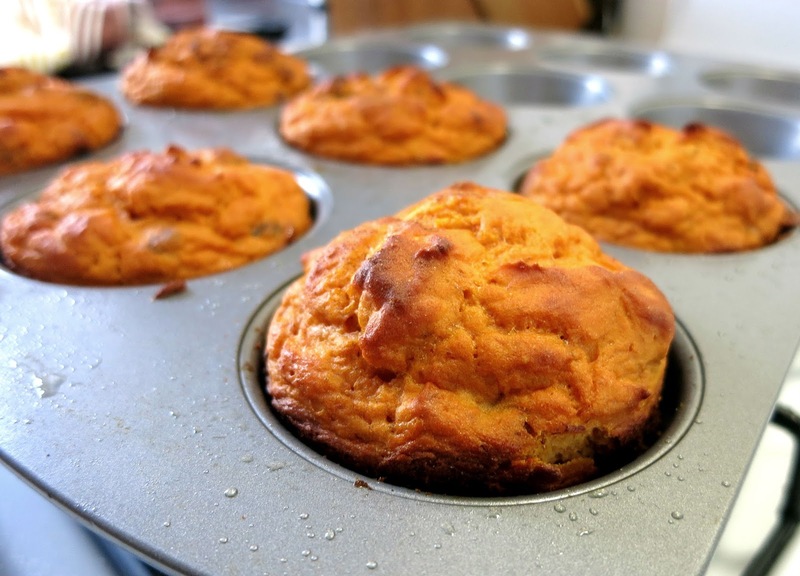 Do you know the calorie content info on these muffins? Can you replace arrowroot starch with something else? Can arrowroot starch be substituted to tapioca / cornstarch / potato starch ? And can pumpkin be substituted by other members of the squash family? - or would sweetner be required? The soft insides of baked sweet potato (no skins) tried and tested is interchangeable with canned pumpkin, just cool before mixing with other ingredients. Can fresh ground pumpkin and its ground up seeds be used? Also what squashs can replace pumpkin? E.g. butternut squash ....? What is the name of the exact vanilla protein powder used? I used Cytosport vanilla whey, but I'm sure you could substitute a different brand too. Designer Whey is also another great brand. I made them and was sure to show them off on my page giving a link back to you as well. My boys love them just as much as I do! Thank you so much for posting this and letting me know! It is so exciting to hear that people are actually trying my recipes :-) I really appreciate your comments. Sounds awesome! I have definitely been meaning to try a chocolate version of these too :) Great info to know, might try to reduce the amount of baking powder next time as well, and thank you for sharing!! Yes, 1/2 tsp soda subs for 2 tsp of baking powder, as long as you have something acidic. The cinnamon would provide that. What can I use as a protein powder substitute? 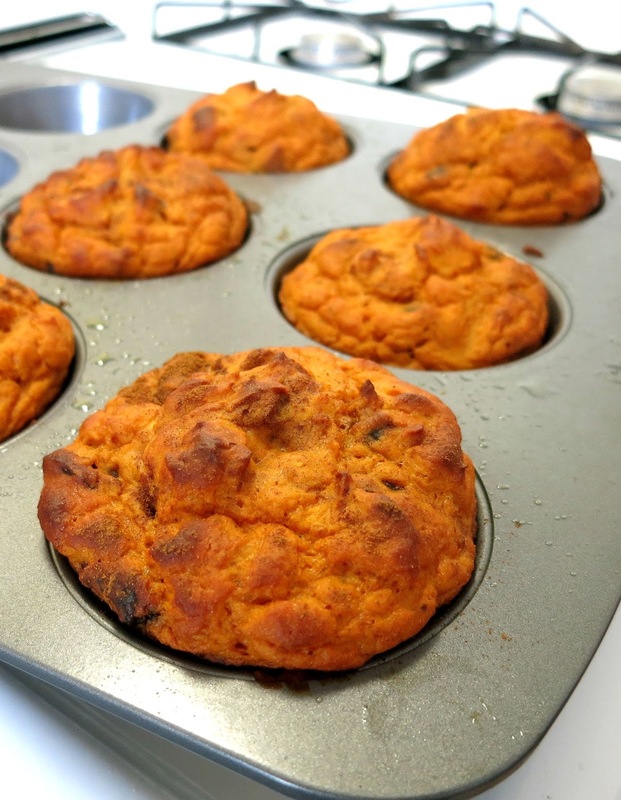 Not sure what went wrong, as I followed the recipe, but my muffins came out very dry and not very tasty. Mine too. I even added almond milk, but they still came out very dry and tasteless. Looking up a recipe for pumpkin butter to spread on to make them edible. Soooo good! I added dark chocolate chips, pecans and maple syrup. And almond flour instead of arrowroot powder. Will be making them this way over and over again!